Tech News Archives | Cyber Security for Small businesses event on Oct. 23, 2018 for executives, managers, critical infrastructure owners and operators to learn how to strategically prepare, respond, and recover from a cyber attack. Sentree Systems, Corp. will host a booth at this awesome event, so come out and see our latest solutions. "We are absolutely thrilled to bring the Cybertech to Indiana for our flagship U.S. event," said Amir Rapaport, founder of Cybertech. "We see Indiana as the ideal location for our Cybertech event due to its vibrant cyber eco-system, with incredible involvement and passion from the state, industry, academia and local government when it comes to cybersecurity, protection and innovation." This thought-provoking conference and exhibition will present on global cyber threats, solutions, innovations, and technologies. Speakers and panelists will focus on cyber threat and strategies for meeting diverse challenges in sectors such as healthcare, utilities, small businesses and local government. Attendees will also meet decision-makers from the leading companies, startups, government officials, investors, academics, and other professionals changing the global cyber landscape. Speakers will include Indiana Governor Eric Holcomb, Indiana Lt. Governor Suzanne Crouch, Secretary of State Connie Lawson, Director of the National Initiative for Cybersecurity Education (NICE) at the National Institute of Standards and Technology (NIST) Rodney Petersen, as well as speakers from Eli Lilly and Company, Purdue University, Indiana University, KSM Consulting, Indiana Department of Homeland Security, Indiana Office of Technology, and more. For more information or to register, visit midwest.cybertechconference.com. For many industrial and commercial purposes, there are tremendous benefits, in terms of system management, for increased connectivity with the technological innovations of the Internet of Things (IoT). This also brings many new security issues to consider. A new level of security risk comes from the expansion of the IoT to connect devices. These risks come from connected devices that are communicating in less-than-secure ways. Every piece of equipment that is connected through the IoT may create a security breach. Companies, especially those in the healthcare industry, need to be aware of the risks caused by devices used in their operations. Contact Sentree Systems Corp. for a security review and to get advice about how to manage security risk caused by devices that are connected to the IoT. Sentree serves Indianapolis, Avon, Plainfield, Carmel, Fishers, Noblesville, and the surrounding areas in Indiana.New privacy and data security rules are now in effect for any company that has some of its operations in Europe or has some customers from there. The European Union (EU) passed a law called the General Data Protection Regulation (GDPR) that requires businesses to give EU customers more control over how their personal data is collected, what permissions are required for a company to use it, and what can be done with the information. This law went into effect on May 25, 2018. Any American company that has customers from the EU needs to be in compliance with the GDPR regulations. It is likely that over the next few years similar regulations will be imposed by the U.S. government on companies in the USA as well. All external-facing systems need to have a two-step authentication process using one-time use authentication code for the second step. The benefits of this strategy are significant in blocking unauthorized access. The way it works is an authorized user logs in with a complex password and then the second step sends a text message to a secured mobile device that is used by that person to complete the login process. If the mobile device is lost or stolen the second-step is canceled. Sentree Systems Corp. is a highly-qualified data security consulting company that works with small businesses in Indiana, serving Indianapolis and the surrounding areas including Avon, Carmel, Fishers, Plainfield, and Noblesville. Every business should assume they have either been attacked, are being attacked, or will be attacked. Fast detection and swift response are the small business owner’s only defense. Contact us today to learn more about these strategies at www.sentreesystems.com [contentblock id=72 img=gcb.png]What do email scams, death threats and bitcoin have in common? Together they are being used by scammers to steal money from innocent victims. This is by no means a new threat (it’s been around since 2006) but it’s one that’s getting some new recognition. The FBI recently issued a warning about the uptick in these scams and we know if the FBI is talking about it, it’s a big deal. Threat: Death Threat Scams Do You Need to Worry: Yup! Everyone is at risk. The scam goes a little something like this: recipient receives a threat via email and is ordered to pay in virtual currency (like bitcoin) or prepaid cards otherwise they or their family will be harmed. Keep in mind that this scam could also come in the form of a text message and they might be after more than just money – they may try to obtain your personal information, account numbers, etc. What Can You Do About It: Contact the police immediately and follow their advice. You should also file a complaint with the FBI’s Internet Crime Complaint Center (IC3.GOV). There is a massive scam campaign going on, this time a very well executed Netflix phishing attack. The scam targets subscribers telling them that their account is about to be canceled. The well-designed, individualized fake email convinces customers to update their account information to avoid suspension. This results in stolen personal and credit card information. The email has the subject line “Your suspension notification” and includes a link where the subscriber is taken to a fake Netflix page which requires their log-in information as well as credit card number. The scam was detected Sunday and it targeted nearly 110 million Netflix subscribers. As mentioned, the fake site includes Netflix’s logo as well as popular Netflix shows like “The Crown” and “House of Cards” to make it seem legitimate. Most everyone has heard something about the Latest breach of Equifax. Here is some of the latest information. The massive Equifax data breach has already led to the filing of more than 30 lawsuits seeking class-action status. One of the lawsuits, filed in Portland, Oregon, is demanding up to $70 billion in damages. The lawsuits are just one measure of the fury generated by Equifax - one of the three biggest U.S. data brokers - revealing Thursday that it suffered a breach, beginning in May, that exposed to hackers 143 million consumers' personal details, including information that could be used to commit identity theft. In its alert issued Thursday, Equifax said that it discovered the breach July 29 and launched a website that consumers can use to see if their data was exposed. The company is offering all U.S. consumers one year of prepaid credit monitoring, which includes freezing their credit reports on Equifax. But it has not offered to do the same with consumers' credit reports at other data brokers. Almost immediately following the breach notification, affected consumers began filing lawsuits - more than 30 by Monday, Reuters reports. Meanwhile, attorneys general in at least five states - including New York and Illinois - have also announced formal breach investigations. And several Congressional committees are launching or eyeing breach-related hearings. Equifax has also promised to work with regulators in Canada and the United Kingdom, where some victims reside. Hardest hit by the breach, however, were those who live in the U.S. The breach exposed information on nearly half of all U.S. adults, including names, birthdates, addresses, Social Security numbers and in some cases, driver's license numbers. All of that data is regularly used to verify an individual's identity, and thus it's also valuable for identity thieves. "The quality of data potentially compromised is very valuable to cybercriminals," cybersecurity attorney Imran Ahmad tells Information Security Media Group. "What these guys are looking for is high value bits of information. The reason they like this type of data is because they can easily on the darknet sell these and create virtual profiles and sell them to others." Numerous security watchers have called for Equifax to publicly atone for the breach - and do so quickly - and have called on anyone who has a choice of data brokers to immediately stop working with Equifax. Some also want to see Equifax CEO Richard Smith ousted. "Smith should resign. If he does not, his board should fire him," says information security expert William Hugh Murray, who's a senior lecturer at the Naval Postgraduate School. Three other Equifax executives sold stock in the company after it learned of the breach, but before it issued a public notification (see Equifax Breach: 8 Takeaways). The U.S. Securities and Exchange Commission declined to comment to ISMG about whether it will investigate the timing of those stock sales. Equifax has released a statement saying that the executives - including its chief financial officer - had been unaware that the breach had occurred when they sold shares. Murray, meanwhile, recommends the three "resign and flee the country before the Feds come after them for insider trading." And for good measure, he adds, "the CISO should update his resume." As ISMG has previously reported, however, that job position was, until recently, being advertised as vacant. 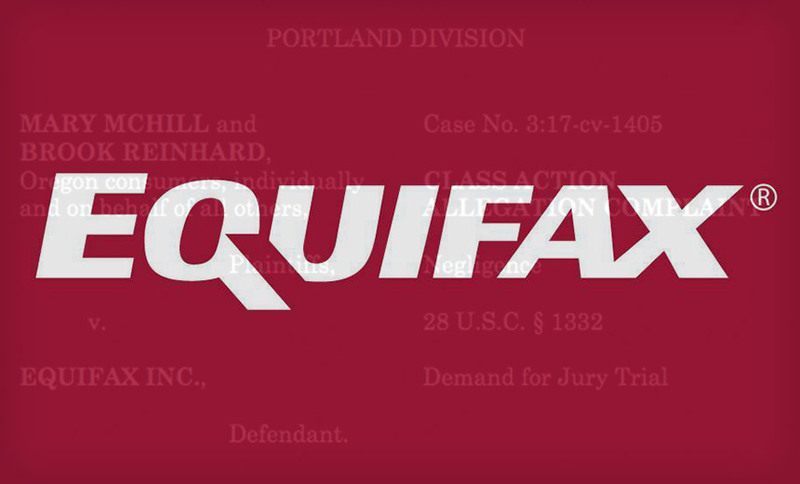 Equifax already faces multiple lawsuits over the breach, including one filed in Oregon by Mary McHill from Portland and Brook Reinhard from Eugene. Their lawsuit seeks class-action status on behalf of everyone affected by the breach and demands damages of as much as $70 billion. It was filed by law firm Olsen Daines PC, together with Geragos & Geragos, which Bloomberg reports is a law firm known for launching splashy, high-octane class actions. "This complaint requests Equifax provide fair compensation in an amount that will ensure every consumer harmed by its data breach will not be out-of-pocket for the costs of independent third-party credit repair and monitoring services," according to the complaint. Reinhard, for example, says that he spent $19.95 to buy "third-party credit monitoring services he otherwise would not have had to pay for." The lawsuit also alleges that Equifax failed to invest sufficiently in its information security program. "In an attempt to increase profits, Equifax negligently failed to maintain adequate technological safeguards to protect [individuals'] information from unauthorized access by hackers," according to the complaint. "Equifax knew and should have known that failure to maintain adequate technological safeguards would eventually result in a massive data breach. Equifax could have and should have substantially increased the amount of money it spent to protect against cyberattacks but chose not to." Many breach-related lawsuits, however, have failed, with the cases often being dismissed because plaintiffs failed to prove they suffered unreimbursed financial losses (see Why So Many Data Breach Lawsuits Fail). As every business becomes more interconnected across the state, cybersecurity is no longer just an information technology (IT) problem, it is a business problem. Cybertech and the State of Indiana will hold its kick-off Cybertech Midwest event on Oct. 23, 2018 for executives, managers, critical infrastructure owners and operators to learn how to strategically prepare, respond, and recover from a cyber attack. Sentree Systems, Corp. will host a booth at this awesome event, so come out and see our latest solutions. This thought-provoking conference and exhibition will present on global cyber threats, solutions, innovations, and technologies. Speakers and panelists will focus on cyber threat and strategies for meeting diverse challenges in sectors such as healthcare, utilities, small businesses and local government. Attendees will also meet decision-makers from the leading companies, startups, government officials, investors, academics, and other professionals changing the global cyber landscape. Speakers will include Indiana Governor Eric Holcomb, Indiana Lt. Governor Suzanne Crouch, Secretary of State Connie Lawson, Director of the National Initiative for Cybersecurity Education (NICE) at the National Institute of Standards and Technology (NIST) Rodney Petersen, as well as speakers from Eli Lilly and Company, Purdue University, Indiana University, KSM Consulting, Indiana Department of Homeland Security, Indiana Office of Technology, and more. For more information or to register, visit midwest.cybertechconference.com. What do email scams, death threats and bitcoin have in common? Together they are being used by scammers to steal money from innocent victims. This is by no means a new threat (it’s been around since 2006) but it’s one that’s getting some new recognition. The FBI recently issued a warning about the uptick in these scams and we know if the FBI is talking about it, it’s a big deal. Do You Need to Worry: Yup! Everyone is at risk. The scam goes a little something like this: recipient receives a threat via email and is ordered to pay in virtual currency (like bitcoin) or prepaid cards otherwise they or their family will be harmed. Keep in mind that this scam could also come in the form of a text message and they might be after more than just money – they may try to obtain your personal information, account numbers, etc. What Can You Do About It: Contact the police immediately and follow their advice. You should also file a complaint with the FBI’s Internet Crime Complaint Center (IC3.GOV). There is a massive scam campaign going on, this time a very well executed Netflix phishing attack. The scam targets subscribers telling them that their account is about to be canceled. The well-designed, individualized fake email convinces customers to update their account information to avoid suspension. This results in stolen personal and credit card information. The email has the subject line “Your suspension notification” and includes a link where the subscriber is taken to a fake Netflix page which requires their log-in information as well as credit card number. The scam was detected Sunday and it targeted nearly 110 million Netflix subscribers. As mentioned, the fake site includes Netflix’s logo as well as popular Netflix shows like “The Crown” and “House of Cards” to make it seem legitimate. Organizations in Russia, Ukraine and the U.S. are under siege from Bad Rabbit, a new strain of Ransomware with similarities to NotPetya the last horrible outbreak. Ouch, that basically bricks the workstation!!! When news broke that the credit reporting agency Equifax had suffered a data breach, consumers around the country began to question the safety of their personal information. After all, credit reporting agencies have access to most of your personal identifiable information (PII): name, address, birth date, Social Security number, and more.Finding out that the PII for more than 143 million US consumers had been stolen was upsetting, to say the least. Now, consumers are being cautioned about what can happen with that information, and what steps they can take to protect themselves. Immediately after the announcement of the data breach, articles began circulating that contained a link that lets you find out if your data was stolen. While Equifax has a dedicated web page that lets you enter your information and see if you’ve been exposed, it takes no work at all for scammers to create their own link, request your information for “verification” purposes, and then steal your data. Before clicking any links or entering any personal data, make sure you’re using a verified link that was issued by the correct source. There are already scam emails in circulation that suggest you check your credit report by using their handy link. The easiest way to verify an email’s sender is to hover your mouse over the sender’s name. The actual address used will appear in a small box. To be on the safe side, don’t click through from any emails you receive; if you’re told to check your credit report, use a verified request service or form instead of the emailed link. Because genuine information was stolen, be extra diligent about monitoring your account statements, looking for unauthorized charges, tracking and reporting any suspicious activity, and keeping a close eye on your credit reports. Never provide your sensitive information for verification purposes; if you receive a warning or alert, contact your financial institution directly using an approved contact method. To visit Equifax’s verified link to discover if your information was stolen, go directly to Equifax’s website and follow the steps they suggest. If you do experience any strange activity on your accounts, report it immediately, no matter how minor it might seem at first. Be sure your antivirus software is up-to-date to block any malicious threats from fraudulent emails or messages, and consider placing fraud alerts and security/credit freezes on your credit report with the three reporting agencies if your information was accessed. The lawsuits are just one measure of the fury generated by Equifax – one of the three biggest U.S. data brokers – revealing Thursday that it suffered a breach, beginning in May, that exposed to hackers 143 million consumers’ personal details, including information that could be used to commit identity theft. In its alert issued Thursday, Equifax said that it discovered the breach July 29 and launched a website that consumers can use to see if their data was exposed. The company is offering all U.S. consumers one year of prepaid credit monitoring, which includes freezing their credit reports on Equifax. But it has not offered to do the same with consumers’ credit reports at other data brokers. Almost immediately following the breach notification, affected consumers began filing lawsuits – more than 30 by Monday, Reuters reports. Meanwhile, attorneys general in at least five states – including New York and Illinois – have also announced formal breach investigations. And several Congressional committees are launching or eyeing breach-related hearings. Equifax has also promised to work with regulators in Canada and the United Kingdom, where some victims reside. Hardest hit by the breach, however, were those who live in the U.S. The breach exposed information on nearly half of all U.S. adults, including names, birthdates, addresses, Social Security numbers and in some cases, driver’s license numbers. All of that data is regularly used to verify an individual’s identity, and thus it’s also valuable for identity thieves. Numerous security watchers have called for Equifax to publicly atone for the breach – and do so quickly – and have called on anyone who has a choice of data brokers to immediately stop working with Equifax. Some also want to see Equifax CEO Richard Smith ousted. “Smith should resign. If he does not, his board should fire him,” says information security expert William Hugh Murray, who’s a senior lecturer at the Naval Postgraduate School. Equifax has released a statement saying that the executives – including its chief financial officer – had been unaware that the breach had occurred when they sold shares. Murray, meanwhile, recommends the three “resign and flee the country before the Feds come after them for insider trading.” And for good measure, he adds, “the CISO should update his resume.” As ISMG has previously reported, however, that job position was, until recently, being advertised as vacant. “This complaint requests Equifax provide fair compensation in an amount that will ensure every consumer harmed by its data breach will not be out-of-pocket for the costs of independent third-party credit repair and monitoring services,” according to the complaint.